I am a card maker. I love to make cards. 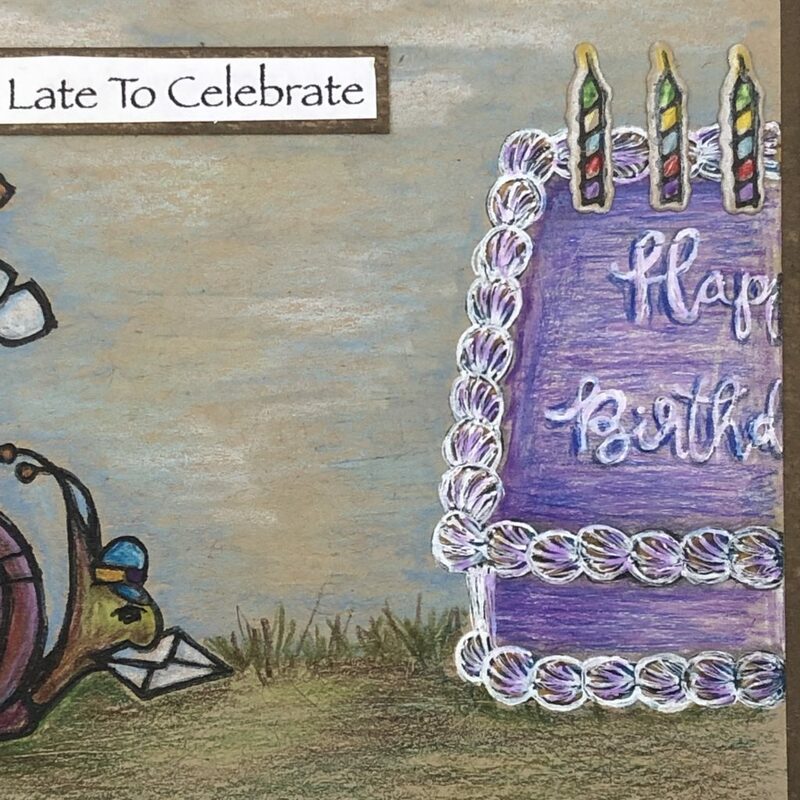 So why is it that I never seem to send birthday cards to my friends and family…on time? Am I the only one who does this?? 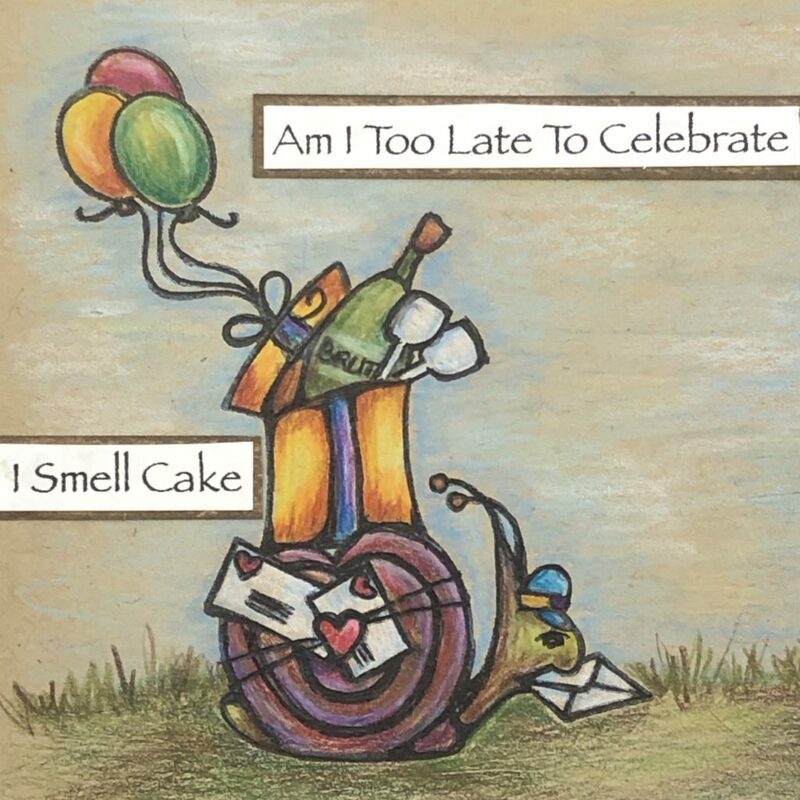 I am beginning to think that perhaps I should make and keep more belated birthday cards on hand. I masked off the lid of the box and the ribbon with purple tape. I inked the stamp with Gina K Black Amalgam Ink onto Neenah Desert Storm Khaki cardstock. Don’t forget to remove the tape before stamping the image. You only make that mistake once! Okay…maybe twice! 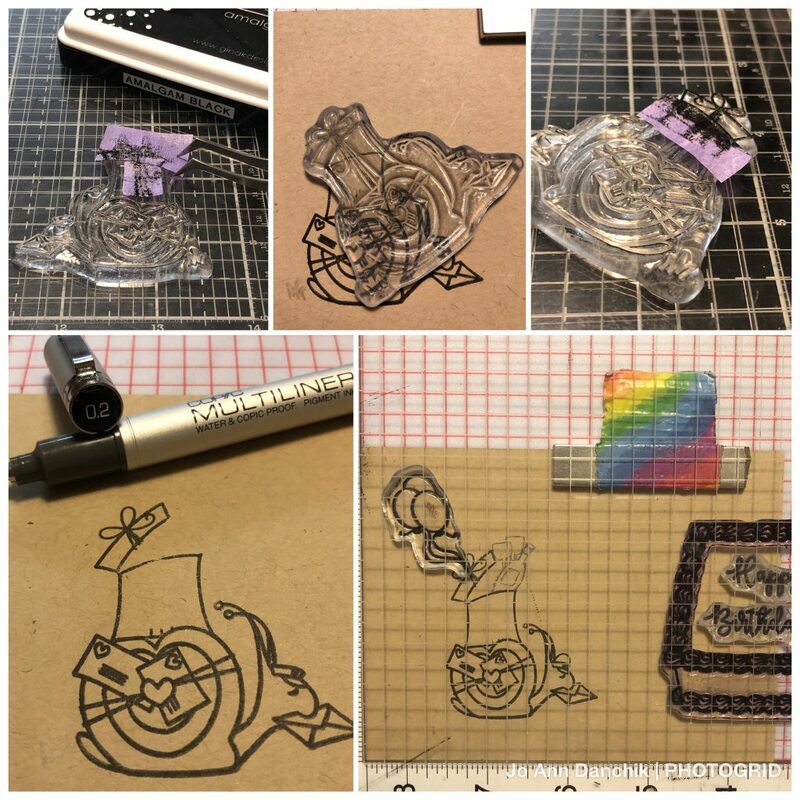 To stamp the lid askew, mask the rest of the box and ink the lid only. A MISTI really helps to line things up properly but is not a necessity. I used an 0.2 Copic Multiliner to fill in the lines of the box. I also sketched in some light designs of a champagne bottle and two goblets with a pencil. 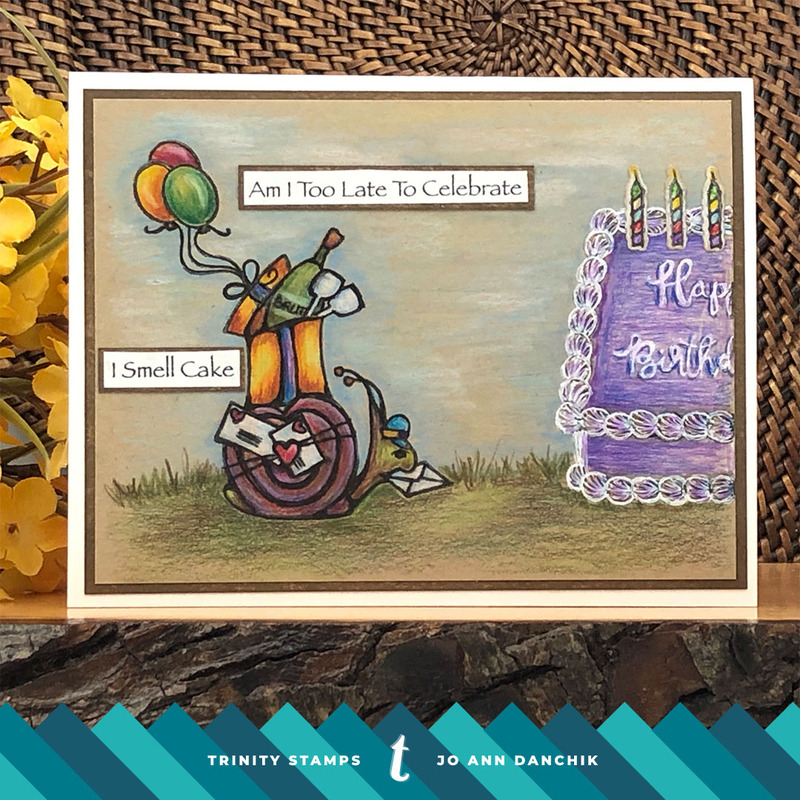 The balloons, cake, and birthday sentiment, from the Decorate-A-Cake Stamp Set, were stamped to complete the scene. I readjusted the drawing of the bottle and goblets and drew a ribbon down the front of the box. When coloring with Prismacolor colored pencils, on colored paper, I like to lay down a light base of white first. It is important to keep your pencils sharp and work in light layers, building the color slowly. I created the sentiments on my computer and printed them out. To back them I rubbed Archival Potting Soil Ink across the top of a scrap piece of Desert Storm cardstock. 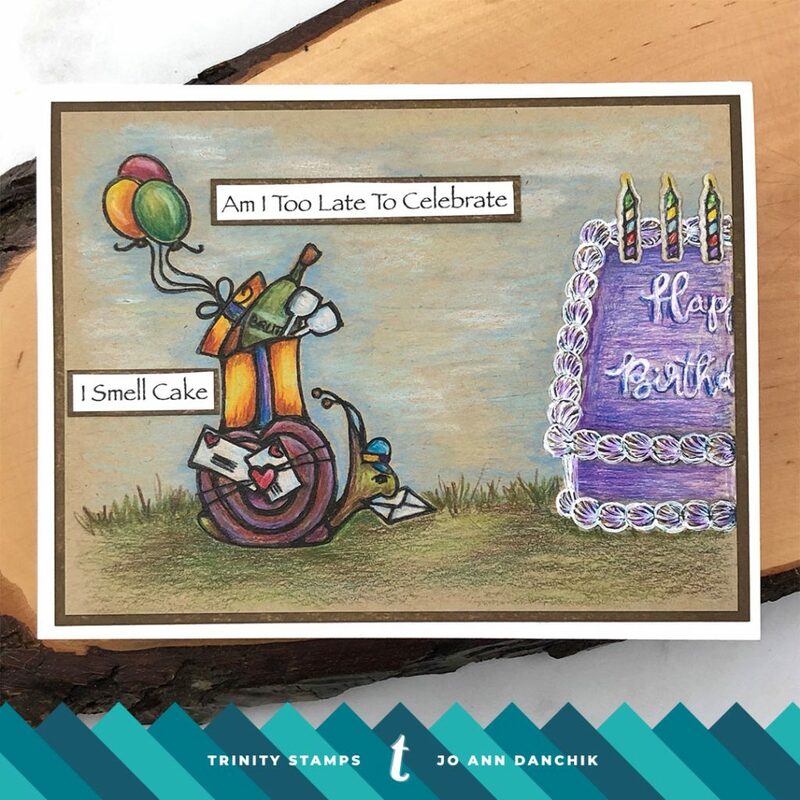 I cut and colored three birthday candles, also from the Decorate-A-Cake Stamp Set, and cut them with the coordinating Decorate-A-Cake Die Set. I stopped short of blending everything in smoothly because I liked the look of the pencil strokes. I added some ground, grass tufts, shadows, and sky. I colored the icing on the cake. 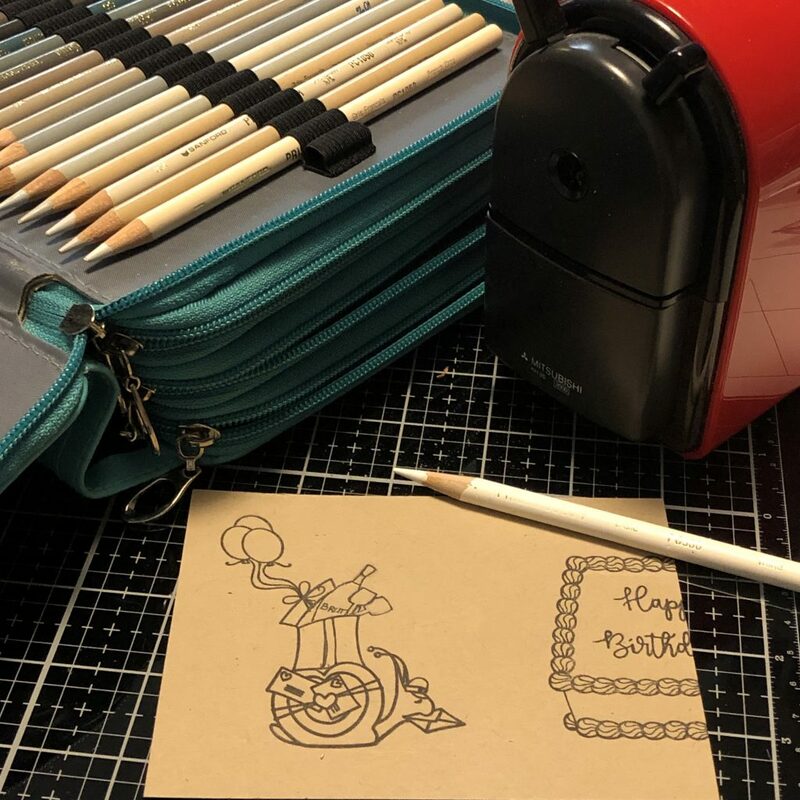 To help the icing curls stand out from the rest of the frosting, I outlined them with a Sakura White Opaque Glaze Pen. 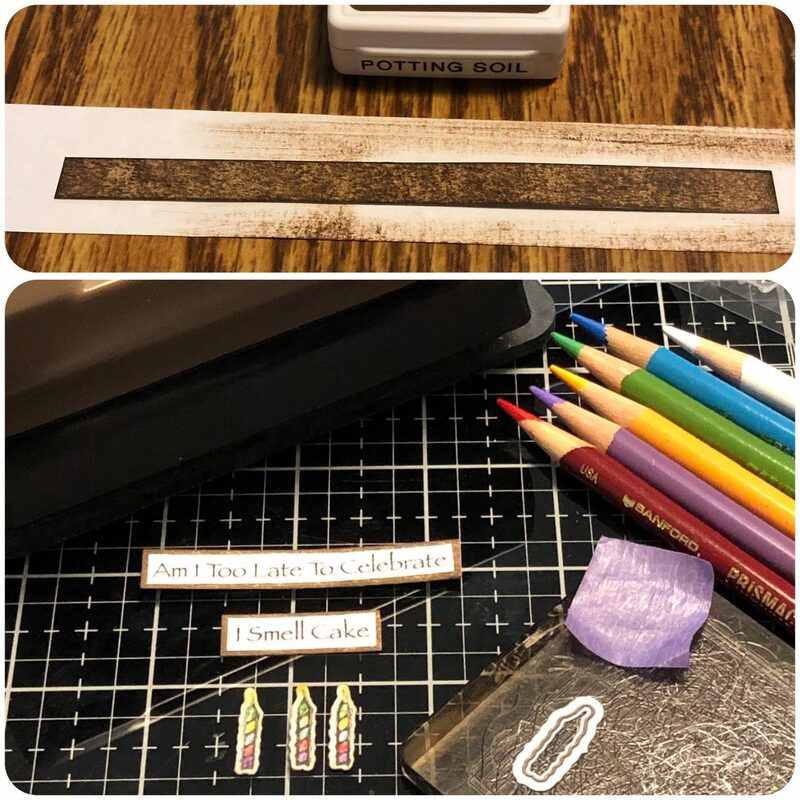 The candles and sentiment strips were glued on using a Hero Arts Precision Glue Pen. I rubbed Archival Potting Soil Ink around the edges of another piece of Desert Storm cardstock and layered it onto a #110 Neenah Solar Classic Cardstock cardbase. You can find full details for the products used here today on my blog.